Discover the capabilities and functionalities of COMSOL Multiphysics. Learn the natural workflow of the user interface of COMSOL (COMSOL Desktop) to set up the different physics phenomena. Check how efficiently a model can be generated and modified, and optimize your designs step by step. 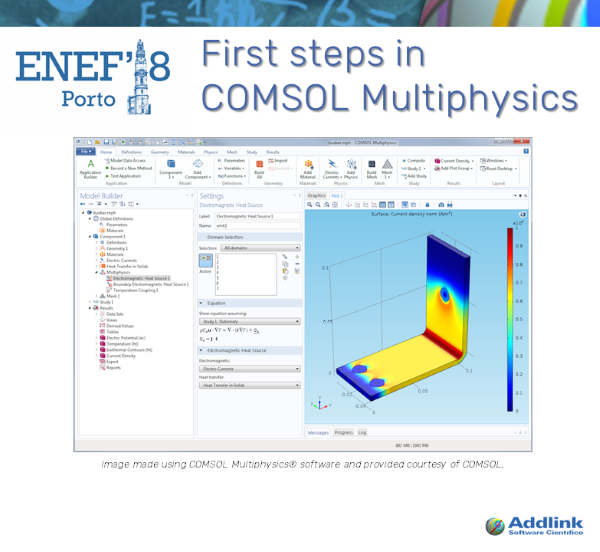 Learn the basic functionalities of COMSOL Multiphysics to set up and run a model mixing electrical, heat transfer and fluids phenomena. REQUIREMENT: To reproduce this tutorial, you need to download and install the CISCO WebEx player (Windows or Mac OS X).